I have a dream where our children no longer go to bed hungry, nor do they see the sorrows of the leaving of a parent. I believe in unity where black, white and young and old work hand in hand to rebuild our cities and small towns. I see a future where morally strong, principled servant leaders lead us forward, not for grandeur, but for love of country. I am no idealist, and I know the task is heavy but doesn’t America deserve such dreams today? Don’t our children deserve to be happy, and full of hope? Do we not deserve our God-given right to be free from a burdensome tyrannical government, and to celebrate life in a way we find fit, where the origin of our forefathers, the Lord of our faith, the color of our skin is recognized for the greatness that it has brought to America through the many millions of legal immigrants? When we awaken each morning, should it not be to plan a day of happiness, love, honor, and time for our Lord? Should we not take the time to acknowledge what we have been given through being an American, and salute our flag, pledge our allegiance to uphold her constitution, and keep her safe from any foreign enemies? When we hug our children and wave goodbye to them as they skip up the steps of that big yellow bus to go to school, should we not feel secure in knowing our children are being taught in what our community has decided, and that they are safe while in the hands of upstanding bright minded teachers, who’s only aspiration is to help educate small minds to great scientists, computer whizzes, political leaders, or doctors, lawyers, leaders in the churches and synagogues, or a very special person who volunteers to defend this land for everyone back home? I dream a dream where the rich, power hungry political lifers are sitting in the back seat as the young vibrant, principled leaders are in the front seat, navigating and driving this huge automobile through time. I dream that we can enjoy the sounds of music from Grandpa’s banjo to the Mormon Tabernacle Choir, to the Navy band, to the country singer, the rock star and the pop idol all with smiles on our faces, happiness in our hearts, and a tapping of our feet. I see a day where the color of our skin, the origin of our family, nor the person we love is no longer a handicap for the opportunity of a good job, good home, good education, and the realization of the America Dream for each of us. 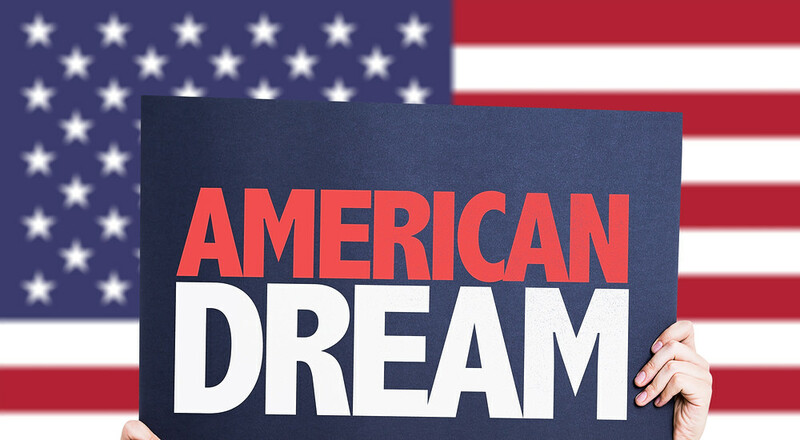 I dream of the day when Americans no longer worry about making ends meet, paying for food on the table, gas in the car and a roof over their heads. I believe that a technological 21st century can be a century for everyone, together, if we just ask ourselves “WHAT CAN WE DO FOR OUR COUNTRY, AND NOT WHAT CAN OUR COUNTRY DO FOR US!” originally the mirror image was spoken by JFK. This is a dream, but one that every true American desire, and has been guaranteed by the Constitution. No longer can we settle for less than the best in our lives, our hopes, and our leaders. Today I see the opportunity for America as big as the sky is blue, with the hopes of every American as beautiful as a perfectly setting sun, and see tomorrow as the most glorious star bright night that God has ever shared. I see that beauty, and grandeur, not only for today but for all of the tomorrows for our Blessed Country, America…..